The Morizon.pl portal decided to check in which of the ten largest Polish cities cyclists can count on the best conditions. The situation of cycling in Polish cities was examined by looking at three elements: cycling infrastructure, safety and city bike systems. The first place went to Warsaw, the second to Lublin and the third to Łódź. Lublin was appreciated for its high density of cycling infrastructure, the low number of accidents and efficient city bike system. 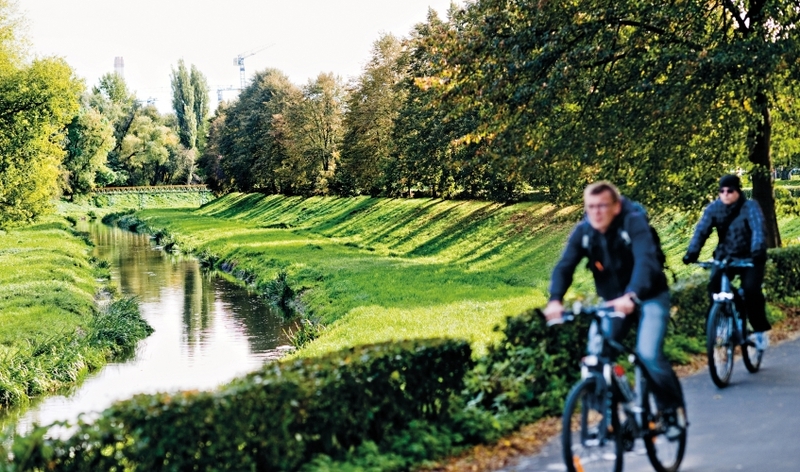 There are 142 km of bicycle routes in our city, which makes Lublin fourth in Poland with a density index of 959 m/km2, with a slight loss to the leading Warsaw (1035 m/km2) and a significant advantage over the fifth Gdańsk (718 m/km2). An interesting element of the city's cycling infrastructure is the only bicycle polo pitch in Poland! In terms of safety, Lublin took place in the middle of the ranking, recording in 2017 only 30 accidents involving cyclists (8.8 accidents per 100,000 inhabitants). However, the city achieved a very high rating for the city bike system, thanks to the indicators of only 358 inhabitants per bike, high density of bike stations per km2 (0.65) and low price of using the system (about 2 Euros per 3 hours of driving). Morizon.pl hopes that thanks to investments in infrastructure and initiatives such as this year's first Spring Bicycle Campaign (within the framework of which the city authorities want to encourage the youngest students to cycle) Lublin will be able to further increase the share of non-motorised cycling transport in the city. Sources: Bike Ranking of Cities 2018 & Bike Ranking of Cities 2018: Lublin is ranked 2nd!